Home Articles News Congress reports Cosmetics: when less is more… but how? Recurrent doubts about the safety of some ingredients, repeated denunciations of the hazards that cosmetics would represent for health and the environment by various NGOs or consumer associations: the time has come to question traditional cosmetics and seek solutions to reassure and regain confidence while being more responsible. 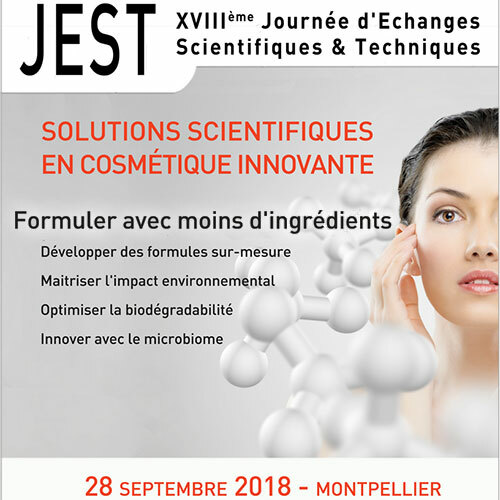 One of them may be the minimalist cosmetics, a topic that Myriam Brager, Head of R&D at Pharma & Beauty Group, explained at the 18th JEST (Scientific and Technical Exchange Day) organised by Cosmed on 28 September 2018 on the theme of “Scientific solutions in innovative cosmetics”. In the introduction to her presentation, Myriam Brager began by clarifying the concept of minimalism. This may affect all areas, such as art, catering, the choice of clothing, and of course, of its cosmetics products. In reality, for the speaker, it is rather a “way of life consisting in privileging the being over having it and looking,” which essentially consists in reducing consumption so as to consume less to consume better and products of better quality. In concrete terms, it is a matter of sticking to the fundamentals and returning to traditions, eliminating the superfluous and artificial to highlight the essential, adopting a lifestyle based on sharing and direct relations and contacts with others, even if it means putting social networks in the background. This art of simplicity, summarized by the concept of “Less is more”, which is first and foremost a natural and reasonable way of consuming, also results in a reduction in the ecological footprint and a better respect for the environment.